We are getting closer to sunnier warmer days, that means BBQ’s and chill long summer nights spent outside on patios, decks and yards. 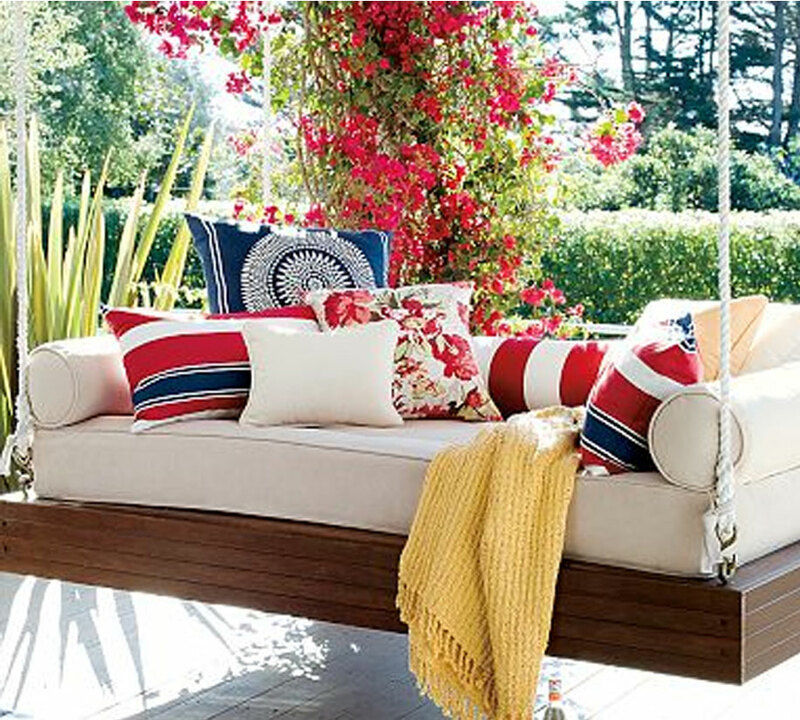 We have the 411 on simple ideas to decorate for the summer. 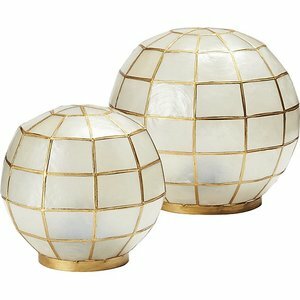 set is perfect on a patio , deck or yard to sit and enjoy the summer breeze on those long summer nights. 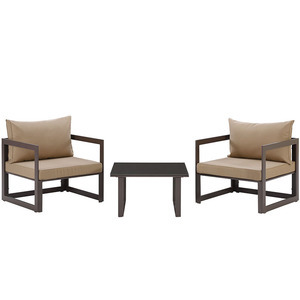 a set fit for outdoor living room comfort and style. Who wouldn’t enjoy summer nights laid out on that sofa? Swing around summer with the Day Z Swing Chair, giving your outdoor space a laid back island feel. a nice coffee table for drinks or maybe to just to lay your feet on. Pillows , blankets and more pillows! The use of colorful bright pillows and an outdoor throw blanket, adds style and gives a comfy feel to an otherwise boring outdoor sitting area. Live in the city? Add some green to your patio to bring a piece of nature to you. A small potted aloe plant on top of a coffee table is a simple fix. Want even more green? The Nature Ficus Tree is perfect for a larger nature view. When it comes to patio decor, a colorful printed rug can instantly transform a space. 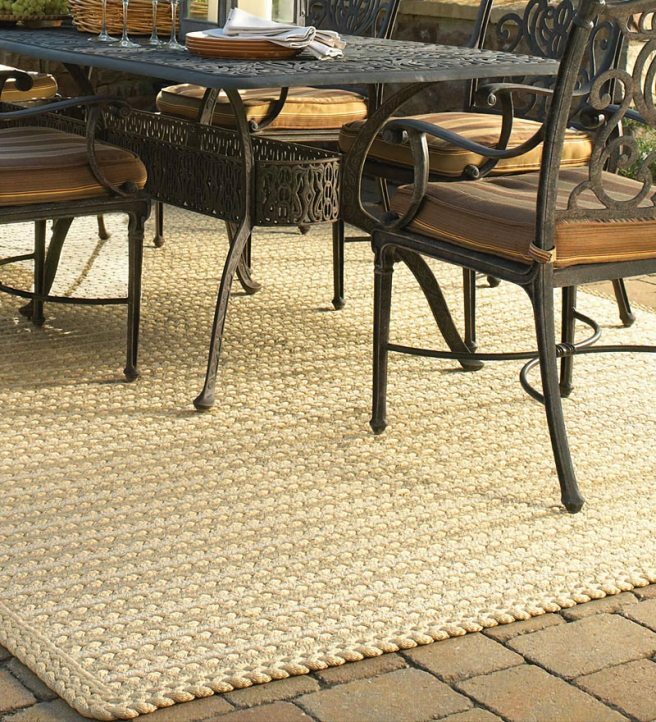 Place them beneath a seating area or dining table to define the grouping, or layer a variety of outdoor rugs for an eclectic look. Last but not least, lighting the area! 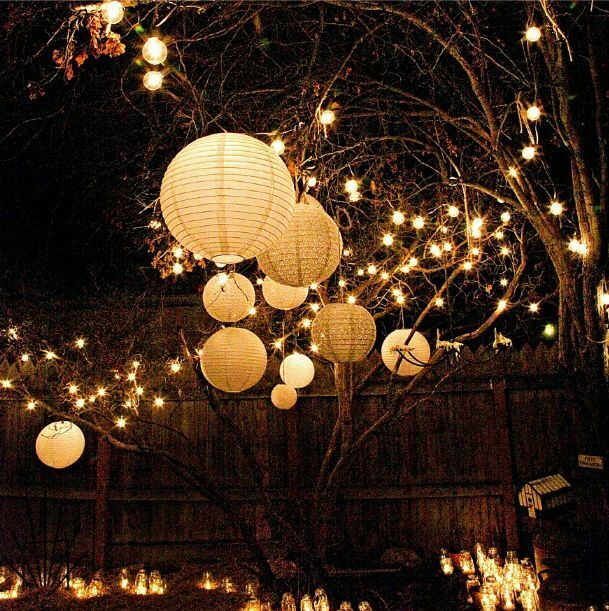 Decorative lanterns, candle lit or electric, are one of the easiest and most attractive ways to add lighting to an outdoor space. Cluster them on the dining table, hang them around the edges of the space, or, place them scattered around the area.